We’ve been tracking a particular zinc junior for a while now―our last Next Small Cap article on this company was in September last year. 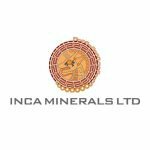 Its name is Inca Minerals (ASX:ICG). ICG has a portfolio of zinc projects in Peru that are making headlines and turning heads. And since September last year, a lot has happened. 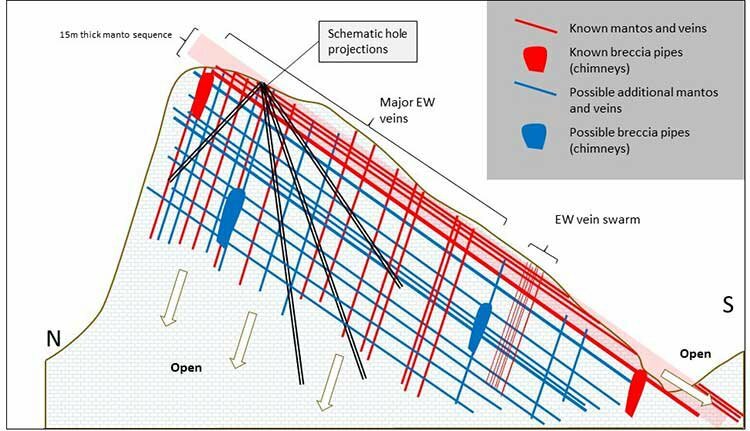 In a nutshell, it has increased the number of high-grade zinc-silver-lead drill targets at its Riqueza Project by an order of magnitude; it has applied for and now received a +14,000m drill permit to test these targets; it has discovered even higher grade zinc mineralisation at a second project; and its share price has moved from lows of 0.2c last year to recent highs of 2.5c and their market-cap has rocketed from <$2.2 million to >$50 million. All the while zinc prices have continued to climb, zinc warehouse stockpiles have continued to fall, and now, ICG has attracted a strategic corner-stone investor – and BHP-Billiton has just picked up ground adjacent to them. At the same time, ICG is a speculative stock, and there is no guarantee an investment will be successful. Investors should seek professional advice before investing. So, with all of that going on, it’s time to step back into ICG’s Peruvian shoes and take another in-depth look at what is driving this company’s zinc ambitions forward. ICG is in the early stages of exploration at its Riqueza zinc-silver-lead project located in Peru. For much of 2016 it undertook multiple phases of reconnaissance mapping and sampling. An unusually high percentage of samples returned very high zinc, silver and lead grades. Something was in the making here. 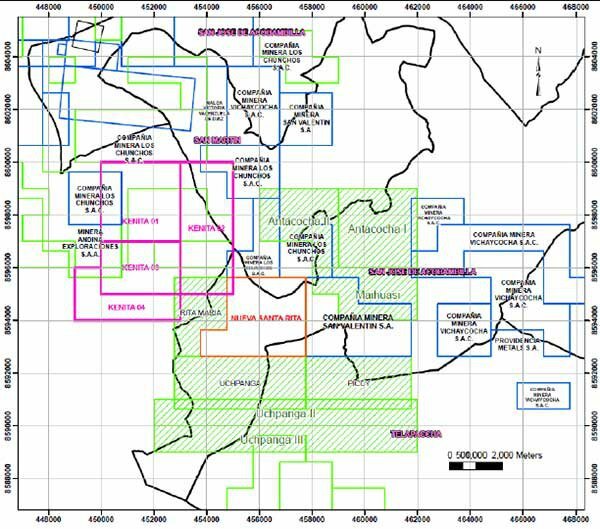 At the same time, ICG substantially increased the number of known mineralised bodies at Riqueza from 7 to a figure somewhere north of 100. Investors should know from experience that the far majority of sample results in early exploration don’t see the light of day. We reported ICG’s surface sampling last year because we thought they were impressive. The average grades from the top-40 assay results that ICG took are: 18% zinc, 371g/t (or 11.2oz/t) silver and 19% lead. 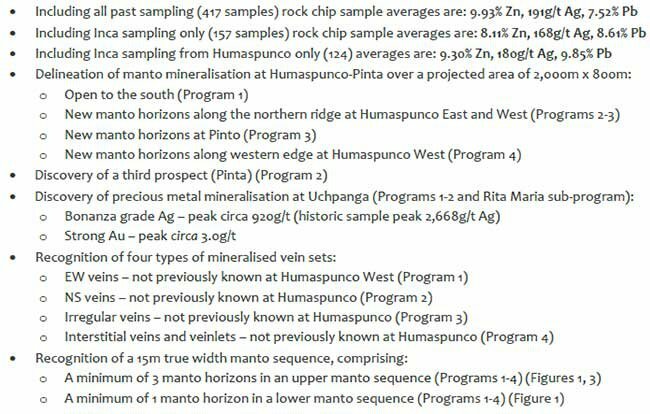 The average grades from the top-40 assay results of all surface sampling (Inca + Pre-Inca: circa 400 samples) are: 21% zinc, 569g/t (or 17.2oz/t) silver and 27% lead. In the meantime, the share price has increased to 2.3 cents (as at close of trading on 17 March 2017) – a gain of some 1,150% since May 2016 and their market-cap has increased from $2.15 million to $52.5 million over the same time frame. The company has managed its treasury carefully with circa $4.5 million in the bank as drilling starts. Of course, not all juniors develop early exploration projects into drill-worthy projects. Still fewer manage to acquire the necessary permits and be well funded to crack into drilling. But ICG’s results were compelling so it did not waste time in applying for a large drill permit and it sorted out its cash requirements very carefully. As the ink dries on the executive order to commence the 14,000m capacity drill campaign, ICG has circa $4.5M in the kitty. The company completed a placement in February 2017 so appear well funded for an aggressive campaign and unlikely to come back to the market for a capital raising anytime soon. The timing of ICG’s drilling appears spot on too, with confidence now returning to the global resource sector. When exploration sentiment reignites, juniors with good projects are often the first to draw the attention of the major resource companies as they seek to shore-up production. Canny investors know too, that these juniors are often under-valued. Last year ICG enjoyed continued support from its largest shareholder, the highly regarded RCF, and also welcomed an additional cornerstone investor, who purchased a holding of around 8% at market price. The investor, Mr Zhian Zhang, is reported to own significant smelting and metal refinery companies in Yunnan, China. This cornerstone investment not only solidifies ICG’s balance sheet, it may lead to the beginning of a mutually beneficial and smart commercial relationship. Drilling is not for the feint-hearted or under-prepared and other companies may be daunted by the task at hand. Not so at ICG, who are tackling head-on the rigours of a large drill program. Should it need a hand, its new neighbour might be useful. Cue BHP-Billiton – the largest mining house in the world who secured ground directly adjacent to ICG in January this year. BHP-Billiton’s move into the neighbourhood doesn’t necessarily mean that they are looking for a deal with ICG but we always look at the optionality, especially when it comes to M&A activities and possible flow-on effects. The possibility of competitive friction between the Chinese and BHP-Billiton is also something worth factoring in. In the resource sector, timing is everything. 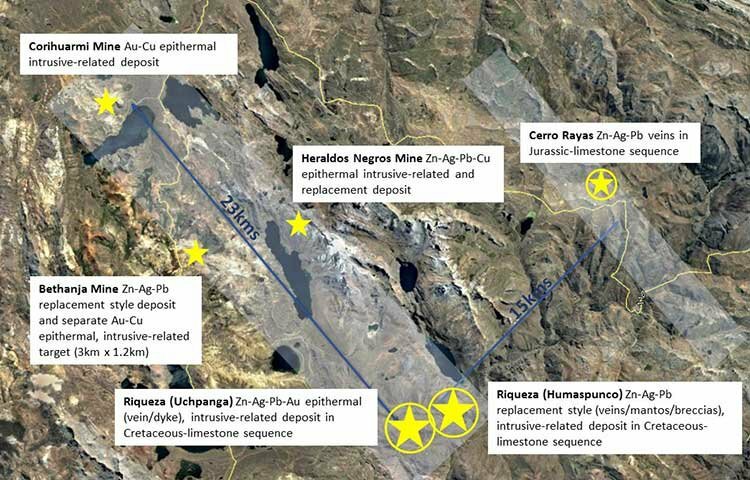 In the current environment, there’s plenty of incentive for zinc projects to move quickly into production, so ICG will be working overtime to get its tandem Riqueza and Cerro Rayas projects along the development curve and online as soon as possible. With BHP-Billiton in the wings, a smelter interest and a premier resource fund, RCF, on the register, this is a very achievable ambition. As mentioned above, ICG undertook reconnaissance sampling at Riqueza throughout 2016. The results were very impressive. 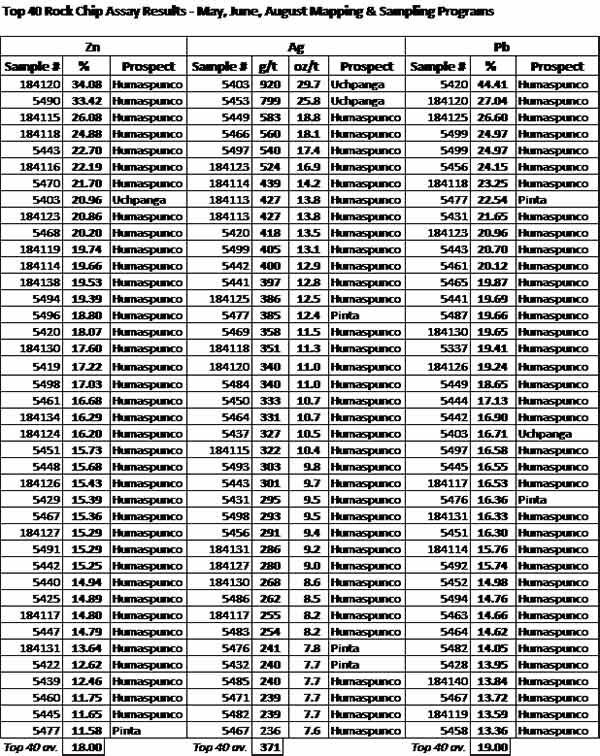 The top-40 average grades from all samples is worth repeating: 21% zinc, 569g/t (or 17.2oz/t) silver and 27% lead. Here’s another statistic: The top 200 samples (about half the total samples) average 13% zinc, 311g/t (or 9.4oz/t) silver and 16% lead. Surface sample peak values from all samples are almost unheard of in early stage zinc exploration: 34.08% zinc (Humaspunco), 2,668g/t (or 80.8oz/t) silver (Uchpanga), 44.41% lead (Humaspunco). Towards the end of 2016, ICG updated the market with a summary of the reconnaissance work. This is when we confirmed ICG was moving into 2017 with genuine prospects. The drill permit couldn’t come early enough. Early in 2017, ICG informed the market that the mineralisation at Riqueza was typical of “intrusive related carbonate replacement” deposits and ICG offered an exploration model ( EM ) as a visual explanation as to why Riqueza looks the way it does. When a company looks for a particular style of deposit, a very good place to start is where others of that type occur. ICG has nailed this strategy. Of course it should be noted here that the company is still in the early stages of exploration and if considering this stock for your portfolio, you should seek professional financial advice. In 2013 it looked for a porphyry 30km from one of the biggest porphyry mines in Peru and found one. Now its found a replacement style deposit right among three others. It’s a basic model – but it works. Riqueza is nestled in a mineral belt festooned with intrusive-related replacement deposits that are rich enough to be mined. Yauricocha Zn+Ag+Pb+Au+Cu, Corihuarmi Au+Cu, Bethanja Zn+Ag+Pb-(Au+Cu) and Heraldos Negros Zn-Ag-Pb-Cu all line up in a NW-SE mineral belt. The next deposit on this conveyor belt of “pay-dirt” could be Riqueza. 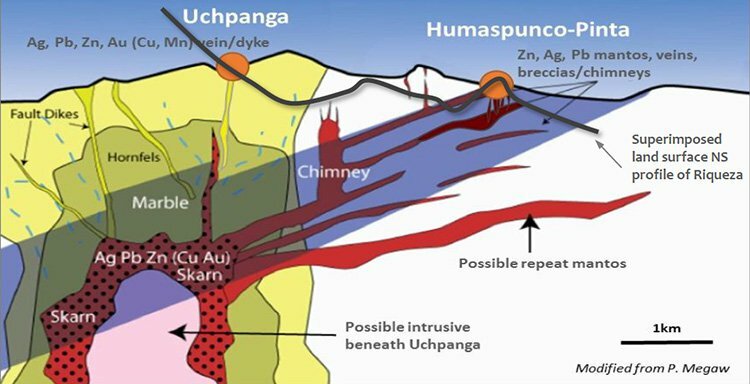 The deposits in the neighbourhood (Yauricocha, Corihuarmi, Bethanja and Heraldos Negros) display metal zoning and broad mineralisation characteristics the same as Humaspunco-Pinta-Uchpanga. ICG’s EM is a pictorial summary of the interpretations of the exploration results, using a block diagram to show the geology, mineralisation (veins, mantos, breccias) and structures in three dimensions. ICG’s MD Mr Ross Brown said that the model helps shareholders understand how the mineralisation is arranged and how drilling might best be designed to test it. 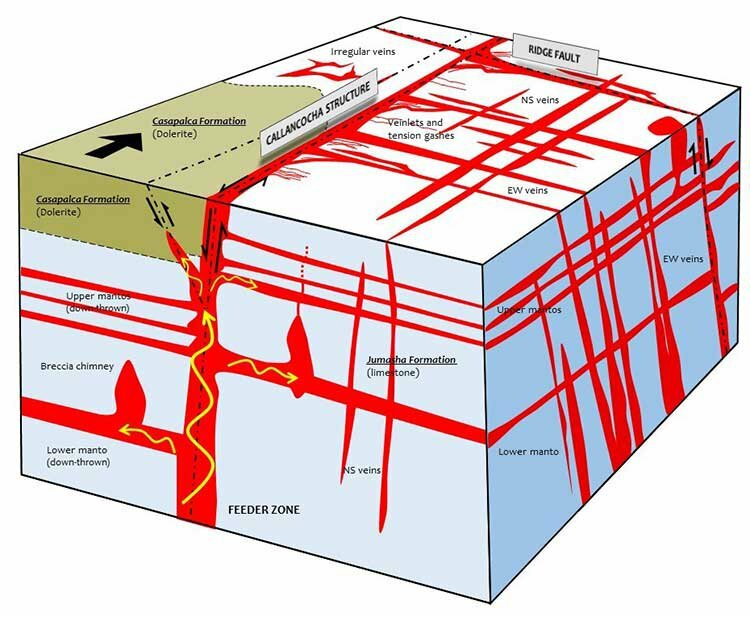 The end result is a matrix of cross-cutting, intersecting feeder zones, veins, mantos, vein/chimney-type breccias and tension gashes that form a large inter-connected volume of mineralised rock. The potential scale of Riqueza crystallised in early 2017 when ICG drew a connection between the two mineralised prospect areas, Humaspunco and Uchpanga, that occur at Riqueza, some 2.5km apart. Intrusive-related replacement deposits can cover several kilometres. Examples of such systems occur throughout the world. Mr Brown said that although Uchpanga and Humaspunco are 2.5kms apart, it is possible they are genetically and spatially connected. Suddenly, the upside of Riqueza comes sharply into focus. 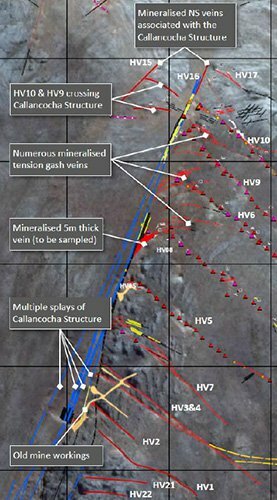 In ICG’s most recent project updates, the latest exploration has resulted in identification of a large new drill target, the Callancocha Structure. Detailed mapping and sampling now shows this very large structure hosts significant mineralisation which extends into the adjacent veins and mantos unbroken. It affirms the exploration model and adds additional excitement to the drilling program. 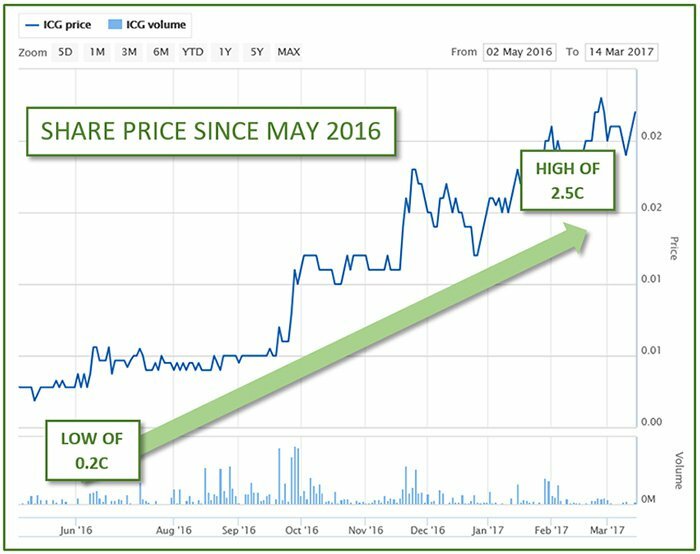 As stated above, ICG’s share price has increased 1,150% from its low of 0.2 cents in May 2016 to 2.3 cents at close of trade 17 March 2017. In the old vernacular it’s well and truly “a ten-bagger” (and then-some). We here at the Next Small Cap are wondering what’s going to happen when the drilling results start filtering through? As ICG gets into its first holes at Riqueza, an ICG investor would likely be buoyed by last year’s sampling results and this year’s discoveries. We would also think that ICG investors would be pleased by the ever-lengthening list of targets and the prudence of the large drill permit. The healthy treasury of circa $4.5 million and the presence of strategic partners and an influential neighbour should also help in boosting the confidence of ICG investors. We think ICG is certainly justified in enthusiastically announcing the commencement of its maiden drilling campaign at Riqueza. 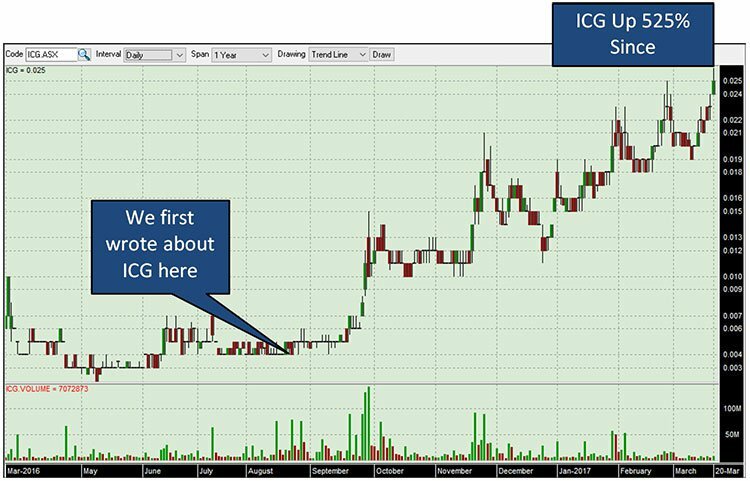 To keep the ICG shareholder fully informed, ICG released details of the drilling program ahead of the permit being granted. The 14,000m of drilling will be divided into three phases and will cover all prospects, Humaspunco-Pinta, [the new] Humaspunco South and Uchpanga. The program total number of holes is 48 with an average depth of 290m. The NEW target: Callancocha Structure. The EW and NS veins, veins, tension gashes at Humaspunco-Pinta. The 750m long gossan and vein (or dyke) at Uchpanga. The holes have been designed to test as many individual mineralised zones as possible in as few holes as possible. The holes have also been designed to test for new forms of mineralisation, such as new veins, mantos and breccias. A single hole might have a dozen mineralised intervals. The proposed holes also provide scope for significant discoveries, either additional veins and/or mantos. What does 2017 and beyond look like for ICG? Before a hole is drilled it is difficult to predict how many holes can be drilled in a month. It is a pretty good bet though that 2017 will be a year of drilling and assay results for ICG. Investors should therefore anticipate a ready supply of drilling and often price-sensitive news. Although any share price catalysts are speculative at this stage and investors should seek professional financial advice if considering this stock for their portfolio. As mentioned above, the holes are relatively shallow. Shallow holes means a reasonably fast hole completion rate which means drilling news should come at a fairly steady rate. ICG has money, debatably one of the better un-drilled zinc projects in Latin America (if not the world), a smelter owner as a major shareholder, a global resource fund with billions under management as its largest shareholder AND BHP-Billiton as a neighbour... AND a brand new 14,000m drill permit. We also expect ICG to make tracks at Cerro Rayas. ICG would be pretty keen to follow-up on the 42.77% zinc result they generated in late 2016 and so a program (or programs) of reconnaissance mapping and sampling is on the cards there. It would follow then, given the company’s normal approach to exploration that a drill permit would then be applied for at the Cerro Rayas project.